The study was headed by Dr Paul Cairns and Dr David Zendle and carried out by the Environment and Communications References Committee (ECRC). They interviewed nearly 7500 people from June this year and had released their finding recently. In their results, they found that there is a link between gambling and loot boxes, or crates. 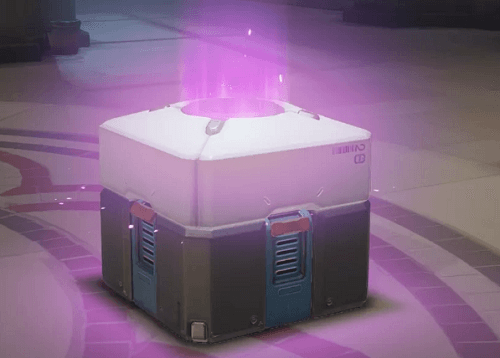 Loot Boxes are in-game video game items that have grown in popularity over the years. These are the items that players can buy during their gaming. It is unknown what is in the boxes until they are opened. However, they caught the attention of regulatory bodies because people started claiming that they are addictive and resemble gambling. The people saying they are gambling based their reasoning on the fact that you gamble for the contents of the box without knowing what is inside. The survey shows that loot boxes can be the cause for gambling-related harm. It also showed that problem gamblers were prone to spend more money on loot crates and other game features. In this case, loot crates can be considered as the first step to real gambling. In the gaming industry, loot boxes are not considered to be a form of gambling and are as harmless. However, Dr Paul Cairns and Dr David Zendle disagree with this saying that loot crates may be different to the various forms of gambling but they have the same psychological criteria. This researching is supporting the notion from experts who are claiming that the loot boxes resemble gambling psychologically. It also supports that they can cause gambling-related harm for players. The people who are most vulnerable are those who have severe gambling addiction because they will be prone to spend more on the boxes. According to the study, spending more money on the boxes can be linked to gambling addiction. However, Dr Paul Cairns and Dr David Zendle gave recommendations on how to deal with loot boxes. They suggested that the regulatory authorities to consider imposing restrictions on games that feature these in-game items. Find the research here.